The ever entertaining and informative Drawn! blog pointed me to the work of the incredibly talented Dan McCarthy. His site is worth checking out. You can see more of Dan’s work at www.gigposters.com, a site I should plug more often. 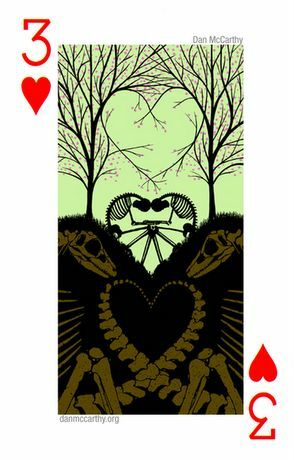 FYI, Gigposters.com is now selling a playing card deck featuring 52 great images by some of Gigposters’ best artists. Below is Dan’s card. All art © Dan McCarthy. It may be too late to order this for Christmas but I’m sure someone has a birthday coming up sometime in the next 365 days! 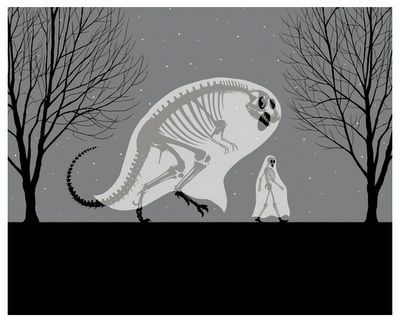 Update Note: Anyone who can help me obtain a copy of the ‘Dianogah’ poster or print should drop me a line here at the Palaeoblog. Thanks! China First To Collect Dino Fossils? "No chains will ever hold that".